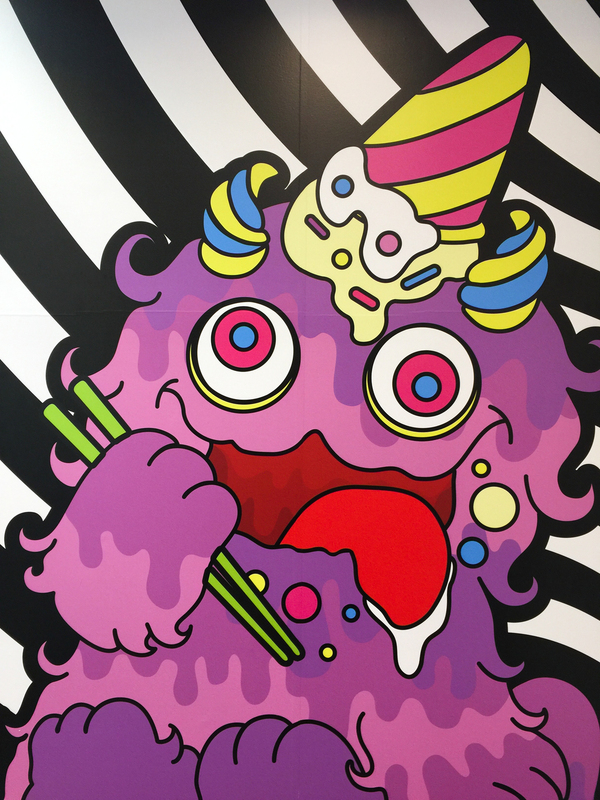 Located in the quirky part of Tokyo, Harajuku, the Kawaii Monster Cafe is like a child friendly version of the Robot Restaurant that I previously posted about. 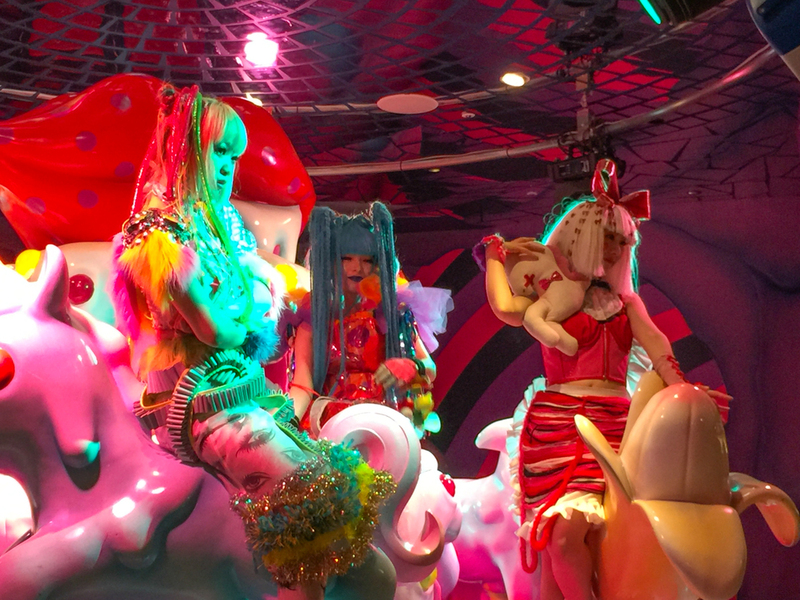 Their "Monsters" are young girls dressed in crazy Harajuku street styles who perform on a fantastical merry go round and mingle with the customers for photo ops. 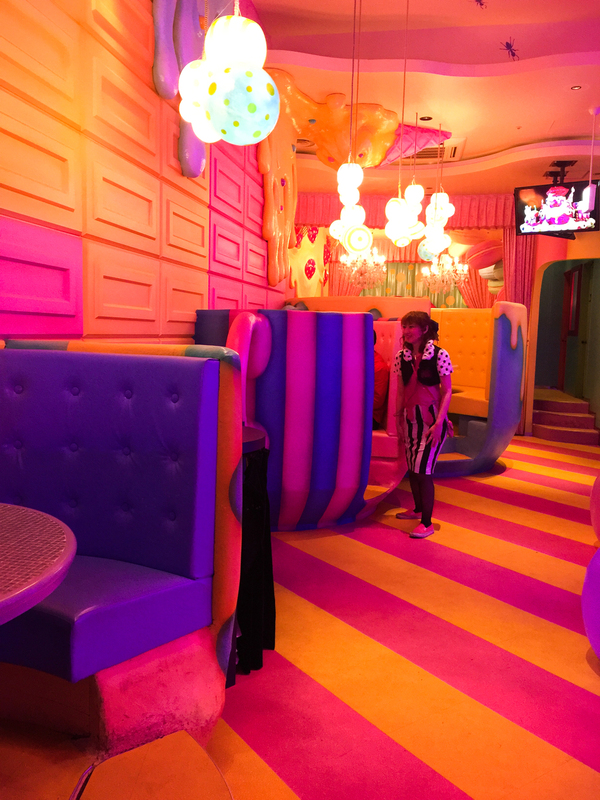 The decor is very bright and a little overwhelming, like if Andy Warhol lived in Willy Wonka's chocolate factory. 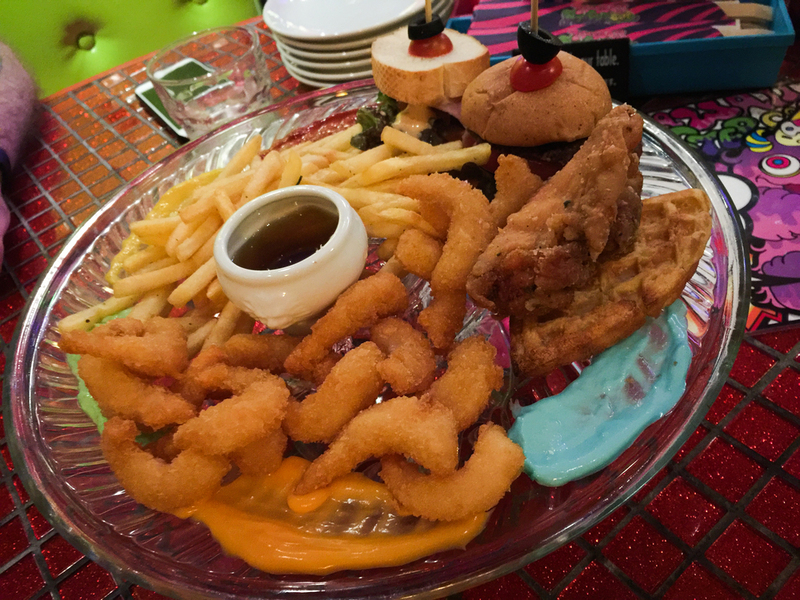 The food was fine, nothing special flavor wise, but definitely high on the 'kawaii' scale--hamburgers with bold blue buns and eyes, dipping sauces in all the colors of the rainbow, multicolored pasta, and decorative desserts. 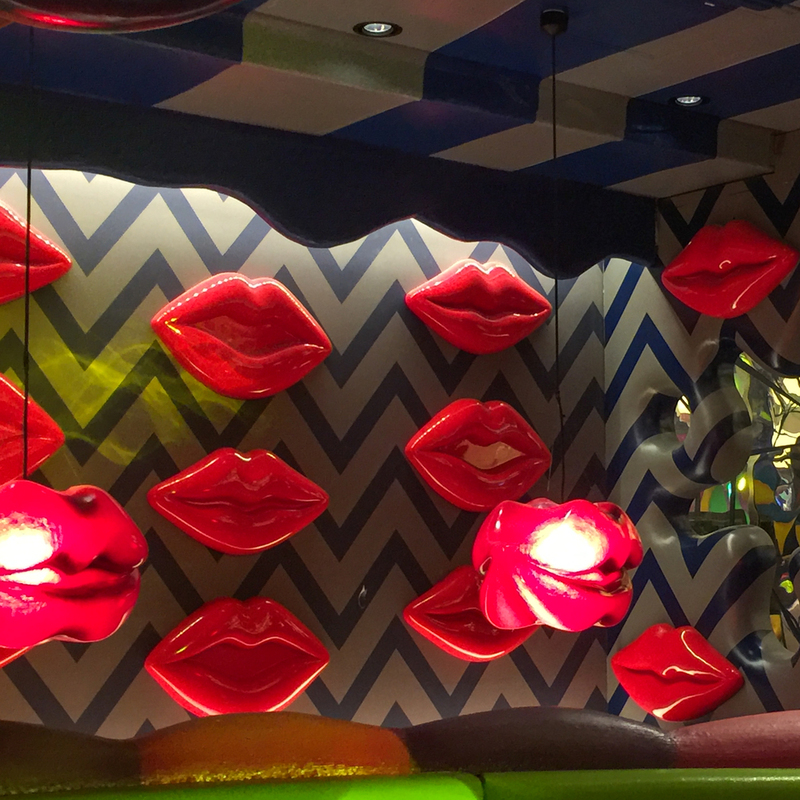 If you're in the area I recommend stopping by just for the atmosphere. 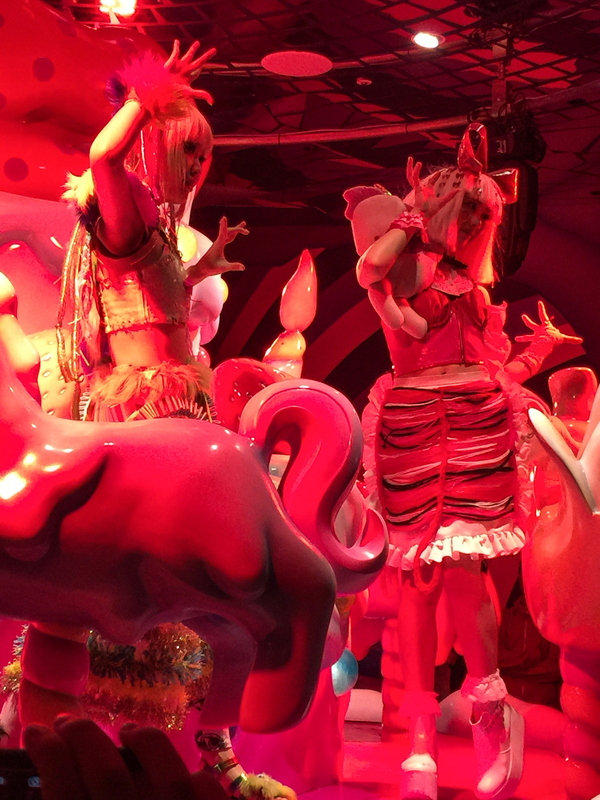 It definitely fulfills the "Harajuku" stereotype I think we all expect to see when we visit this part of town!